So, you’re looking to plan the perfect party for your child? From choosing the perfect party food to the location of the party, you’ll want to make sure everything is suitable for your child’s big day. One aspect that many parents want to get absolutely right is the entertainment. 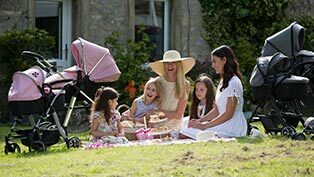 As kids grow, the party games that they enjoy will no doubt change, sometimes making it difficult for parents to come up with new ones which they know all the guests will enjoy. We’ve compiled a list of some of the best party games that are fun to include – no matter how old your party guests are! A classic game which can be adapted to the age group of the children attending the party, treasure hunts require children to use their brains in order to work for a reward. Using a treasure map or a set of instructions, participants will be lead to some “treasure” which will be given to the first child or group of children which reach the end of the hunt. Firstly, you will need to decide on whether you will have the children working alone or in small groups. This can depend on the age of the children and how challenging you want to make the treasure hunt. This will also determine the treasure which will be the prize at the end of the treasure hunt. If a group of children is expected to find the treasure, you will need to choose a prize which can be shared out amongst the group so that each child can have one, such as bags of sweets or individually wrapped toys. The location of the treasure will be dependant on a few aspects – the difficulty of the treasure hunt and age of the children taking part, as well as the location of the party. 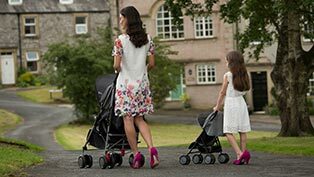 The best type of place to choose is somewhere which is easily accessible, but not necessarily obvious as some children may decide to just ignore the instructions and go looking for the treasure themselves. The fun should be in the search, which is where your map comes in. Your map should resemble the location of the party, with helpful hints along the way. The path should be marked out, with pointers such as “turn right at the potted plant” or “take three strides forward”. The directions should be fun for the kids to follow, but also get them thinking, too! If ease is something that you’re looking for, the prize bucket toss is one of the easiest party games to set up, which can be adapted to be made more difficult as children age. Using a bean bag or a ball and a series of different sized buckets to make getting the beanbag or ball in successfully. Place the buckets in a vertical line from largest to smallest. The buckets nearest to the children should be the easiest to get a ball or beanbag into, and the ones getting futher away should prove more challenging. Take a few steps away from the buckets and place a line where the children are to stand and throw their bean bags or balls. For younger children, the gap between them and the buckets shouldn’t be far to make it more likely that they will get a bean bag or ball in the bucket. Prizes can be awarded for getting the most items in the buckets in 30 seconds, or for younger children where competition is less fun, a small prize for getting the item in. Everyone loves balloons, no matter what age you are, and this game is a great way to use balloons and get everyone having fun with them … by popping them! The aim of this game is to be the first one to pop your balloon within a time limit. There are various ways in which this can be done, and a few different approaches to this game. One variation is to blow up a certain number of balloons and each child will have a time limit in which to pop as many as they can – but the premise of the game remains the same no matter which version you choose to play. Give each participant a blown up balloon and have them stand up with the balloon in their hand. On your instruction, let them try and pop their balloon in any way possible within a certain time limit, but stress that they must do so safely (ie. not using sharp objects). The first one to pop their balloon is the winner! For the multi-balloon version, give each child the same amount of balloons and set them a time limit to pop as many as they can. The winner is the child who pops the most balloons in that time limit. Kids at parties seem to have endless energy, so why not try and harness that while encouraging them to have fun, too? By creating an obstacle course, you’re giving the kids an outlet for their excitement while providing a fun game to take part in, too! Your obstacles don’t have to be anything too fancy and should be appropriate for the age group you are entertaining. Using objects such as hoops scattered on the floor for the children to jump into, a rope laid out in a line for a ‘walk the tight rope’ type challenge and even a ladder laid flat on the floor – there are plenty of obstacle course ideas you can try out! For younger kids, make sure that the obstacles aren’t too difficult for them, but choose obstacles that they can enjoy attempting without being too easy or too difficult – even babies who can crawl can enjoy manoeuvring around obstacles! Who doesn’t love food? Kids and even adults alike will always enjoy games which encourage eating, and we don’t think there’s any better foodie game than food on a string… and it’s exactly what it sounds like! Start by choosing food which is easy to tie up with string. Ring doughnuts are amazing for this, or even marshmallows threaded onto a string! For those wanting something a little healthier (or to avoid having sugar-crazed kids running around afterwards! ), you can use fruits such as apple or banana slices! Place old newspaper underneath the challenge area to catch any fallen food and avoid it being trodden into the flooring. Have an adult hold the string just in front of the child’s face and instruct them to eat the whole item or simply take a bite out of each item; taking a single bite out of a hanging apple is much harder than you think! You can also turn this into a team ‘food on a string’ challenge if you’d like. The winner (or winners) are the ones who are able to finish the whole treat in a given time limit! A great game for kids of all ages is the guessing game “who am I?”. The premise of this game is for each child to have a sticker stuck to their heads which contains a name of someone that they will know. By asking their partner yes or no questions about the person, they should be able to work out who is on the label! Split the children up into pairs and place a sticker on each of their heads which contains the name of a celebrity, character, musician – anyone that should be known to the children. Instruct the children that they are to only ask their partner questions which are a yes or no answer, and to take turns in asking the questions. The winner of the two is who successfully guesses the name on their head first. For younger children, you can make the game easier by allowing them to ask questions with answers other than only yes and no. This is because it is likely that they won’t know a whole lot about the people, and help can be offered to keep them interested. A classic game which gets everyone involved – and usually giggling! Using closed off boxes with one side visible to the audience, participants are asked to put their hand into the box and guess what items are simply using their sense of touch. Depending on the items in the box, there are some amazing reactions to be expected from the person reaching into the unknown! Using old cardboard boxes, cut out a hole in the top where a hand can be inserted, and another on the outside face of the box which will be facing the audience. This will act as a window, so the other children watching can see what the item is. Make sure to keep the hand hole small enough so that the item inside isn’t able to be seen, but big enough to place a hand in. You can cover the front window of each box with a piece of material or a towel to keep each item a surprise for the audience until it is time for the participant to delve in. This keeps the audience in suspense, too! As for what items you put in the boxes – it’s completely up to you. For younger kids, keep it easy and simple for them to guess. Use familiar toys and shapes and have them guess what they are before moving onto the next box. For older kids, you can get a little more creative. Introduce different textures and make the objects harder to guess by combining different items! Another balloon-themed game that can help make use of the countless balloons you’ll no doubt have lying around at the party! However, rather than popping them (intentionally, that is), this one requires careful handling of a balloon along a short course to reach the end with it in one piece! Split the children into two equal teams and spread them out at equal distances in a line. Give the first person a balloon and instruct them to place the balloon between their knees and prepare to set off on your signal. Once the signal has been given, each child should make their way as quickly as possible with the balloon remaining in between their knees to the next person, and pass the balloon to them without using hands. The next person should take the balloon with their knees and continue on to the next person in line, again, passing the balloon from their knees to their team mate’s knees without the use of hands. The winning team is the one who gets to the finish line first with their balloon. Should the balloon drop, it is up to you as the game master to decide whether hands can be used in that situation. For younger children, it’s advisable to allow them to use their hands, as it is more than likely there will be a few drops of the balloon along the way. 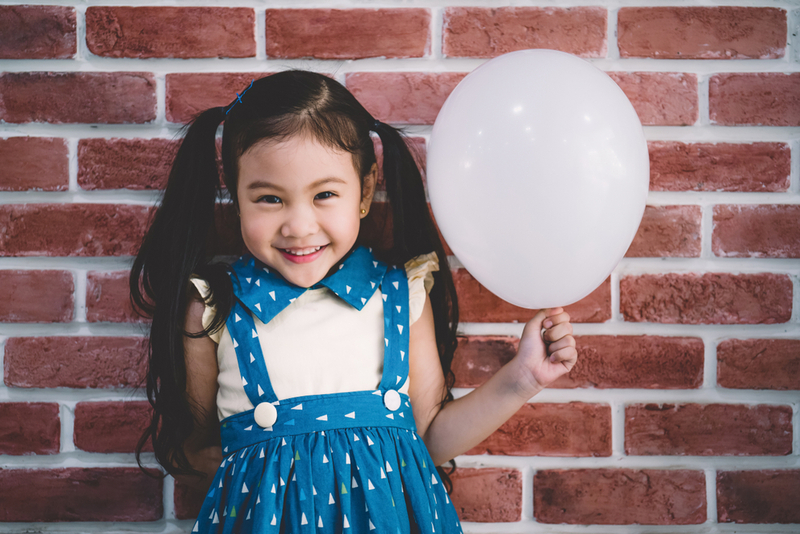 For older kids, the added challenge of still using their knees to grab the fallen balloon will make them more aware of how important it is to keep the balloon between their knees. There are also a variety of other types of relay races that can work just as well! Keeping kids entertained is much easier than you think – and it can also give you a chance to act like a big kid and get involved in some of the games, too! Which games will feature at your kids party?